Before submitting your work to a literary agent, a publishing house or, more importantly, before you self-publish your work, consider having it evaluated by CBR’s team of editors and manuscript evaluators. Many of our manuscript evaluators have worked as acquisition editors at top-drawer publishing houses. A manuscript overview is one of top traditional publishing tools that authors can use to accelerate their writing careers. Have you ever wondered how best-selling authors can churn out a book or two each year? How do other authors continue to hit “home-runs” with each new title? How can you have the same success? The answer is a Manuscript Overview of your book; helpful story notes from our Chanticleer editors that will give you the pointers you need to hit it out of the park. The power of a manuscript overview makes it one of the best tools that traditional publishing houses and literary agents make available to their authors. Best-selling authors receive great editing and feedback from agents and senior editors on early drafts, which most self-publishing authors never receive. When feedback comes early in a work’s progress it allows the author to, not only create a more polished final product but also publish more works. Worth every penny I paid, this manuscript overview validates my fledgling career as a writer. I am truly on cloud nine, and look forward to doing business with Chanticleer again in the future. And if any fellow writers are looking for similar help, I will send them to you. -Thank you, thank you, thank you! – Dan H.
When working with an agent or publishers, the author works on a rough draft – the early drafts of a novel. He creates the theme, the characters, the setting, the tone, the story, the plot lines, the dialog style, and selects the genre and has an audience in mind (YA or mystery fans, fantasy or Science Fiction readers, etc.). After the author creates the story with a beginning, middle, and end, he then sends this early unedited draft of the story to his editor or agent to read and to get feedback. Thank you for the manuscript overview. It is so very helpful and so much more than I hoped for! In-depth and insightful, it has given me a lot to think about and plenty of work to do. I will certainly look to you for services as I need them in the future and have already recommended you to another author. I’m thrilled with the service I have received! Sincerely, Cynthia S.
To read more about how this process works, we suggest that you click on this Chanticleer link to the Number One Must Have Tools for Authors. Have you ever wished that someone would give you objective feedback about your manuscript? Or that someone would give you the feedback that will take your work from good to great? An objective evaluation of a story idea that is fully formed with a beginning, middle, and end, but still in an early draft stage. The MO comes before LINE EDITING and COPY EDITING. This [manuscript overview] is fantastic! Well worth every penny. I know that I have a good story in Slow Dancer Affair but, honestly, I was not as excited about this as I was my debut novel (The Monroe Decision). When I read your overview, light bulbs flashed in my head with each section and I have renewed energy for this project. Your [manuscript] review is spot on and I can see that, with a little work, and incorporating many of your suggestions, Slow Dancer can become something special. Thank you, Patrick C.
Does the work have a compelling story? Are the subplots fully developed? Are the characters engaging? Interesting? Are the characters pathetic, sympathetic, or empathetic? Is there inconsistent character development? Are there plot holes? Smoking guns? Is there “head hopping” or unplanned POV changes? Does it take too long to engage the reader? Does the story stay within its world construct? Does it follow the “laws” of the setting? Does the story sag in the middle? Is there too much backstory? Too many details? Does the scenery and setting work with the story? Or is it spot on and ready for a Line Edit? Dear Kathryn, Thanks for much for you kind comments regarding my manuscript. I’m still on cloud nine! I do plan to shop the manuscript to agents, so I would like to have more information regarding a copy edit. Again, thank you for your help and encouragement. Sincerely, Jean R.
The editor then writes a brief and honest evaluation of the work that addresses the above questions. Chanticleer Reviews’ Manuscript Overviews make this type of brutally honest feedback available to every author, whether they have a publishing contract or not. I’m incredibly appreciative of the many positive and helpful things the reviewer had to say in the manuscript overview. The feedback is terrific and more comprehensive than any other I’ve received… Many thanks, again! Brian L.
I have been thinking of you lately a lot – and indeed singing your praises – because the novel you guided me on is now traditionally published…in January. The final version was much changed because of the advice of your reader. The fact that it was published at all was a consequence of the positive encouragement and development advice that you gave to it (and me!) – D. C.
All of her suggestions were right and I hope to make them to the best of my ability. It’s like taking a powerful and quick course in advanced writing. Please thank her for me….Working with someone of her caliber would take my writing to another level. – L.V. Please thank the editor for her insightful and pinpoint comments as to how I can make the book better. They were very good and I’ve already incorporated many into the manuscript. –D.S. When the author decides that the story is ready (and the lit agent and/or publisher agrees), she may send it off for another manuscript overview with either the same editor or get a second opinion. Or the author may decide that the work is ready for a Line Edit. Fundamentally, the manuscript overview allow authors to WRITE and CREATE rather than rework and reword a story idea again and again while trying to get it “right.” The honest feedback gives the author an advantage of the traditional publishing houses where authors continuously get feedback and are under contract to produce. Manuscript overviews allow the author to spend creative time developing stories, characters, unique language, and new plot twists rather than trying to dissect their own works. They also allow for the author to gain a fresh perspective. Thanks so much to you and your editor for your evaluation of my manuscript. It was exactly the kind of “second-opinion” feedback I was hoping to receive before plunging into the agent search mode—bolstering confidence in the viability of the overall project while pointing out some priority areas to consider refining. And thanks especially for providing feedback/suggestions on query letter and synopsis! … Thanks so much, Kiffer, for all your help! I’m really glad I decided to go this “second-opinion” route with you. Bruce G.
The manuscript overview saves the author time and energy, and if the author is self-published, then money in editing fees. Each stage of editing brings an entirely new set of fresh eyes and a fresh perspective to a work. Imagine the kind of polish that will bring to your work. Put the power of traditional publishing’s collaborative expertise behind your work. Begin with a manuscript overview. Our clients, who have taken advantage of the Chanticleer Reviews Manuscript Overview service, swear that they will never go back to writing another novel without first having a manuscript overview conducted on early on. How much is the fee for this powerful editing tool? Starting at $525 for 2,500+ words manuscript overview/evaluation from Chanticleer’s top editors for a manuscript with less than 110,000 words. Fees increase with word count. Get objective, honest, and brutal feedback from one of Chanticleer’s top editors who edit for New York Times and Amazon best-selling authors and top traditional publishing houses. *If you publish with a hybrid or cooperative publishing house, we can work with their Style Sheets. We work with many authors who publish in a variety of ways, but want honest and objective feedback regarding their manuscripts before they submit them. Many of the authors who have submitted their books for review were alerted to overlooked glitches such as inconsistencies with point-of-view, story-line trajectory, or inconsistent character development. We have found plot holes that needed plugging, story pacing that needed to speed up, and overworked clichés that managed to sneak their way into the work. In the pre-digital age of publishing, traditional publishers had at least 40 pairs of eyes evaluating a galley before it went to press. How many objective and unbiased editors have read and evaluated your book? Manuscripts are reviewed within their genres. First question: Is it ready to publish? We select reviewers for their specific genre experience and knowledge. We accept current works along with those that have been stored away in a drawer for decades. Novellas and novels are both accepted. Evaluations are at least 2,500 words, but typically run longer depending on the work. Expect your manuscript’s evaluation in six-to-nine weeks after submission. You may order expedited service for an extra fee. We evaluate all genres, fiction, and non-fiction. Who Will Review My Book? Our manuscript review team is comprised of experienced editors selected for their expertise in specific genres. While they uphold the long-established practices that readers have come to expect, they maintain an open-mindedness for emergent ideas, talent, and creativity in the field of literature, media, and publishing. We operate by the time-honored publishing traditions readers have come to appreciate and expect from legacy publishing and apply the best of these traditions to today’s era of unbounded publishing. Our reviewers are spread across the U.S. and come from diverse backgrounds and are experienced in the publishing arena as editors, journalists, university professors, librarians, booksellers, literary conference leaders, book distributors, published authors, several incognito professional book reviewers for newspapers and magazines, and even a few literary agents. When we receive a manuscript submission at CBR’s home office, we assign the best editor for that particular manuscript. A passion for good books and the authors who write them is one that is shared by our reviewers and editors. Chanticleer Reviews: Discovering Today’s Best Books with Editorial Reviews, Manuscript Overviews, and International Writing Competitions. What happens when the CBR evaluation of my manuscript is complete? We will email you your professionally evaluated written manuscript overview. The assessment of your manuscript is yours to use to the best advantage of your work. You or your agent may quote blurbs or use the entire manuscript review for promoting your manuscript to publishers. All that is required is that you give Chanticleer Book Reviews attribution for the review or any blurb of the review that is used in print, online, or audio-visual media. Remember, the CBR manuscript review is yours to promote your book. We want your feedback about the evaluation. In 2018, more than Two Million New Titles Will Vie for the Readers’ Attention. 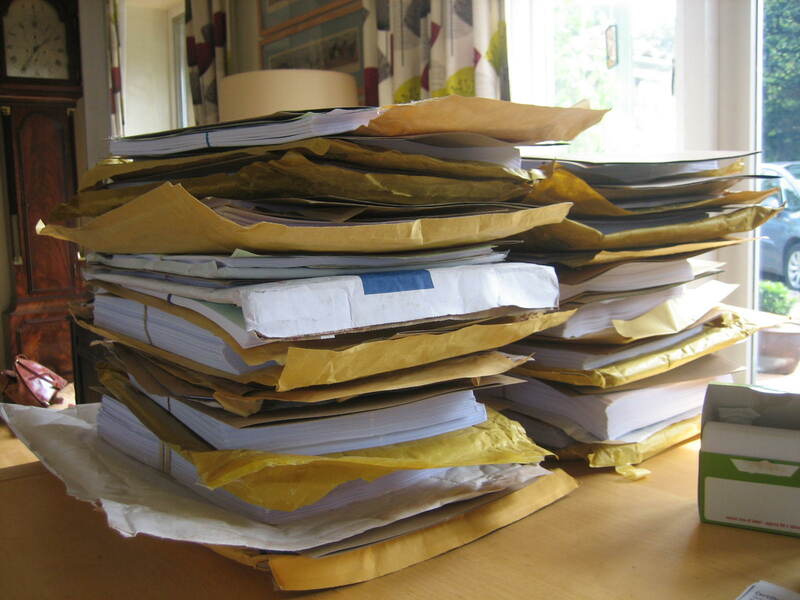 A Chanticleer manuscript overview may, indeed, be the first step in placing your work into the hands of a literary agent or a publishing house representative. How Will Your Manuscript Grab Attention? Media professionals, who are always looking for the next bestseller, cult classic, or blockbuster, depend on unbiased reviews to help them sift through the million-plus volumes of new manuscripts that hit the market every year. We would be honored for you to entrust us with reviewing your manuscript. Line Editing, Copy Editing, World Construct / Style Guides, Proofing, and Formatting. Please contact us Info@ChantiReviews.com for more information. Michael Hurley, author of "The Prodigal"
"Chanticleer Reviews has quickly risen to the ranks of the premier, respected trade reviews in the industry. Their opinion is highly valued by independent and traditional publishers alike. They have been a wonderful resource for me as an unknown, indie author trying to obtain recognition for my work. The review that I received from Chanticleer was directly responsible for a movie option deal I received for my first novel."